Geshe Michael Roach was born in California and graduated from Princeton University with honors. He has also received the Presidential Scholar Medallion from the President of the United States, at the White House. He was the first American to complete and receive the “Geshe” degree after 25 years of study with Sera Mey Buddhist Monastery of India. At the same time, he helped to found Andin International Diamond Corporation in New York City, which grew from a small investment to $250 million USD in annual sales, and was purchased in 2009 by super-investor Warren Buffet. Geshe Michael’s profits from Andin International were used almost entirely to create and support several charitable organizations. Nearly 30 years ago, he founded The Asian Classics Institute, which provides 18 free online courses containing a complete education in the greatest books of Asian philosophy, and trains refugees in professional skills required to research, input and digitize stunning and revolutionary ancient Asian manuscripts which would otherwise be lost forever. The refugees are then employed to locate, rescue and “digitize” the decaying books. More than 10,000 books have been rescued from destruction and made available online, free of charge. The words of the original texts are entered into a database in a universal code, which can then be easily read, discussed and translated into modern language by Geshe Michael’s young team of translation experts. As of 2018, more than 10,000 books have been rescued from destruction and made available online, free of charge. Much of the preservation and input work has been done at Geshe Michael’s facilities in Ulan Bataar, Mongolia, Varanasi, India, and the Institute for Oriental Manuscripts in St. Petersburg, Russian Federation. Modern translation efforts are now managed at Geshe Michael’s worldwide headquarters facility in Sedona, Arizona. In 2010, Geshe Michael founded The Diamond Cutter Institute (DCI), which was conceived as a way to recognize the universal nature of these great ideas and make the ideas usable as “The Diamond Cutter System”, a methodical system for leadership and success among governments, corporations, entrepreneurs and other professionals around the world. 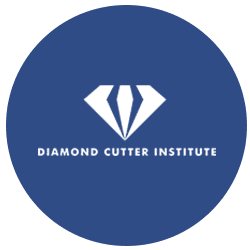 DCI was named after one of the foundational books of Asian philosophy, “The Diamond Cutter Sutra”, which gives a profound and detailed description of the Asian presentation of cause and effect. The Diamond Cutter Sutra provides a clear method for creating specific results or solving problems in any area of government, business or personal life. DCI events now reach over 30,000 people worldwide each year. As a result of the groundbreaking work of DCI in using these great universal ideas to create success and building bridges among nations, DCI now hosts public and private events year-round in 35 cities and 25 countries annually and has developed a wide-spread and influential global audience among powerful international government, corporate and professional organizations such as China’s Asia Infrastructure Investment Bank, British Airways, the Congress of the government of Mexico, and Young President’s Organization (YPO). In 2015, Geshe Michael was awarded an Honoris Causa doctorate degree in the Congress of Mexico for lifetime achievement. He also received the Graduate Gemologist Degree from the Gemological Institute of America and the Fellow of the Gemological Association Degree from the Gemological Association of Great Britain—the two highest degrees in the world for the science of diamonds and gemstones. Geshe Michael has written more than 20 books, including the best selling business book The Diamond Cutter (Random House) which has been translated and published in more than 25 languages worldwide, and which explains how the smashing success of Andin International was produced using the wisdom learned in the monastery, which later became “The Diamond Cutter System” or “DCI System.” The book focuses on Geshe Michael’s personal experiences, and how to use “The DCI System” to create any result and solve any problem. In 2015, Geshe Michael founded The Sedona College of International Management, which in 2017 began providing three trainings each year at the Sedona worldwide headquarters, bringing together inspired professionals from 17 countries in each 15-day “Academic Session” for two separate, simultaneous intensive training tracks. The “DCI Track” trains professionals on how to teach “The DCI System” worldwide, and the “Ancient Classics Translator Track” teaches a small and select group of young translators the translation and interpretive skills needed to turn the cryptic ancient prose found in the rescued manuscripts into an exciting and useful modern handbook for success. The great books which are being translated by the Sedona group contain much of the best and most exquisite thinking on leadership by the greatest authors in the world, many of whom would otherwise have never been known. This historic work provides a constantly growing foundation for “The DCI System”, and the growing DCI audiences worldwide. Geshe Michael has personally translated and published more than 20,000 pages of the classical literature of Asian culture; and has given lectures for many of the leading universities and corporations in 30+ countries. 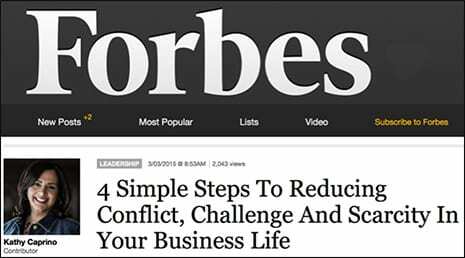 Geshe Michael has been featured on Forbes.com, and has appeared on business and lifestyle television programs in many countries and languages, teaching corporations and individuals alike how to reach all goals and achieve ultimate success by using the universal principles found in “The DCI System”.